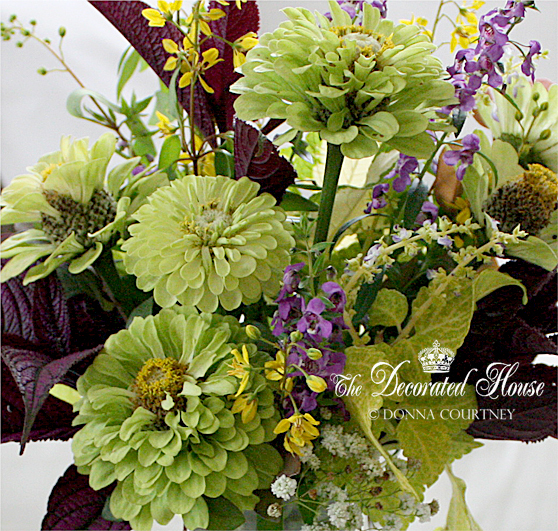 One of my most favorite flowers of all time. 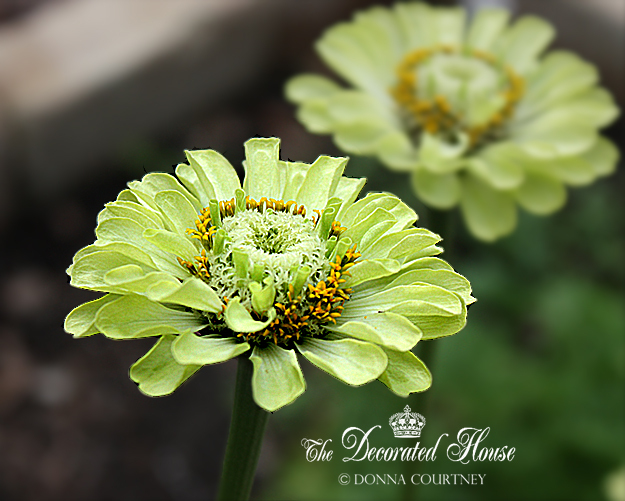 Green Envy Zinnias. 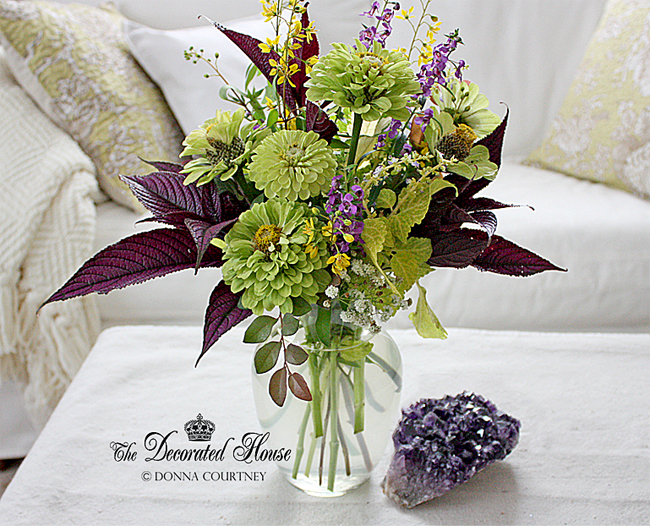 The vase is filled with the Zinnias in the delightful lime green, along with purple Persian Shield, Angelonia , and Green Coleus.